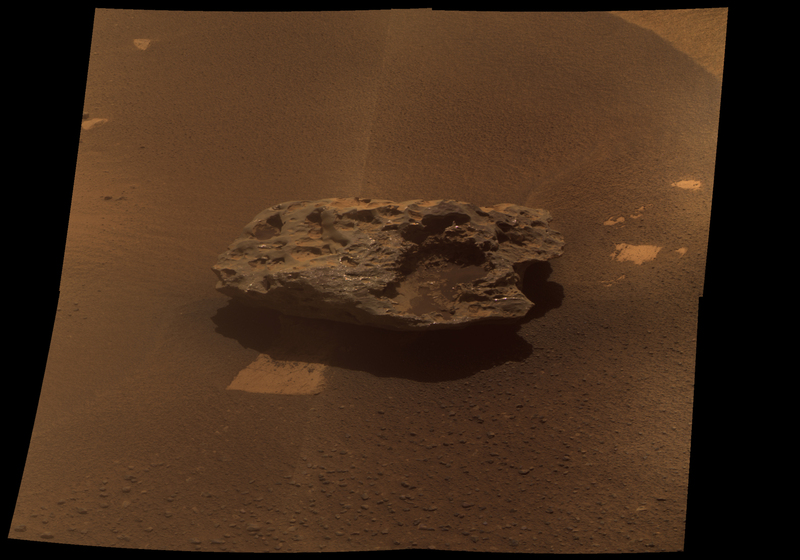 The Opportunity rover acquired this false color mosaic of a large iron-nickle meteorite named "Block Island" on Sol 1961 (July 30, 2009). At this point in its mission, Opportunity was driving south toward Endeavour Crater. 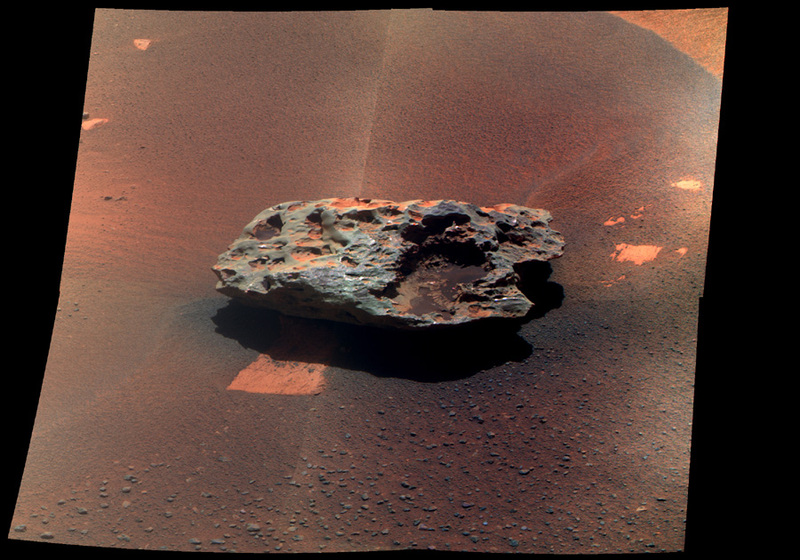 Along this trek, and throughout its mission, Opportunity has come across several meteorites. Block Island however, is quite large: approximately 65cm, or a bit over 2 ft., in length. This mosaic's field of view is roughly 30 by 30 degrees. Also see the full 360° panorama taken at this location. This mosaic was created using Pancam's 753-nm, 535-nm, and 432-nm filters. Two versions are offered here at full resolution: an approximate true color rendering, and a false color stretch to bring out subtle color differences in the scene.